I don't know about you, but I see the word "sale" and I'm saying "where?" Add Nordstrom to the mix and it's a done deal. I can go through racks of clothes, shoes and accessories and finding those items worth buying and adding to my wardrobe staples. 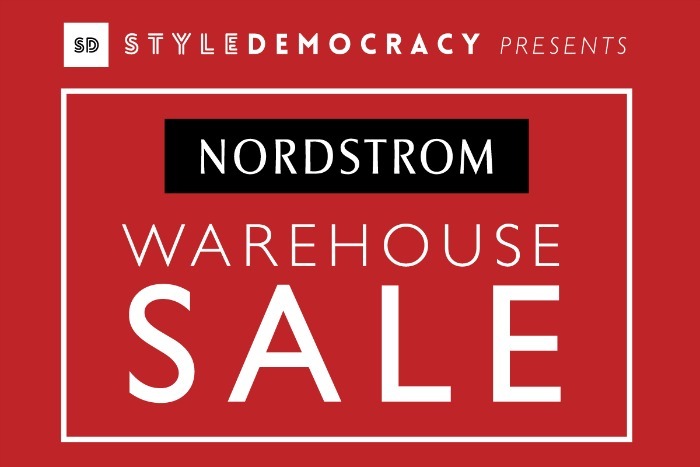 StyleDemocracy is bringing the first-ever Nordstrom Warehouse Sale to Montreal area shoppers. The sale showcases coveted brands at up to 80% off original retail prices. I had the opportunity to attend the exclusive shopping before the sale opens up to the general public! I almost grabbed that Valentino handbag but put it back (only regret). The Nordstrom Warehouse Sale runs from Wednesday, April 6 to Sunday, April 10 at 1160 Desserte Ouest, Autoroute Chomedey, Laval. I scored the tasseled sandals from Steven Madden shown above and a pair of red Hunter boots. You will find brands like SJP, Hunter, Ugg, Steven Madden, Tory Burch, Michael Kors and much, much more! So if you're looking for me, you'll find me making a few trips to the sale. I'm hoping the Joie and Rag & Bone booties I want will appear in my size. Oh and if you're wondering, the sale accepts cash, debit and credit cards. Happy shopping my Montreal peeps!